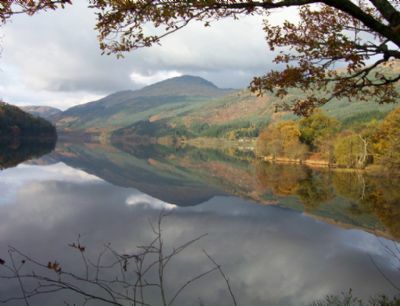 The Benmore & Kilmun Community Development Trust is part of the network of Community Development Trusts within the Loch Lomond & Trossachs National Park. The name comes from the ancient parish of Benmore & Kilmun in Argyll and covers the shore villages - Blairmore, Strone and Kilmun - as well as the communities of Glen Massan, Clachaig and Rashfield. The Trust exists to sponsor projects for the benefit of the Community. Major projects already accomplished include the Development of the Graham's Point children's play area, extending the network of paths to access the area and provision and maintenance of planters for flowers. Projects underway include the restoration of the Argyll Mausoleum at Kilmun Church and improvements to the marine environment. Residents of the area are encouraged to become Members of the Trust. The fee is £2 per person per year and is payable at the AGM. The Trust is managed by a Board of Directors - full details can be found on the Trustee section of this website. We welcome you to the website of the Benmore & Kilmun Community Development Trust. Please feel free to browse and to get in contact if you would like to get involved in any of our projects.